This RV trip took us into east-central Mississippi for the Cook Family Reunion. In addition to the reunion, we traveled some interesting and scenic back roads - as is our habit when we have time. We also stopped at some interesting and scenic Mississippi campgrounds. We hope you enjoy our story and pictures. We left Richmond on Sunday afternoon, May 28th, via US-59 north. We made good time out of Houston on this Memorial Day Holiday weekend and at Livingston, we turned east on US-190. Near Woodville, we stopped at Paradise RV Park for the night. We would have ordinarily stopped at Martin Dies State Park, but being a holiday weekend, the park was booked up 100%. Monday we made our way through Louisiana (Leesville and Alexandria) to Videlia on the banks of The Mighty Mississippi River. 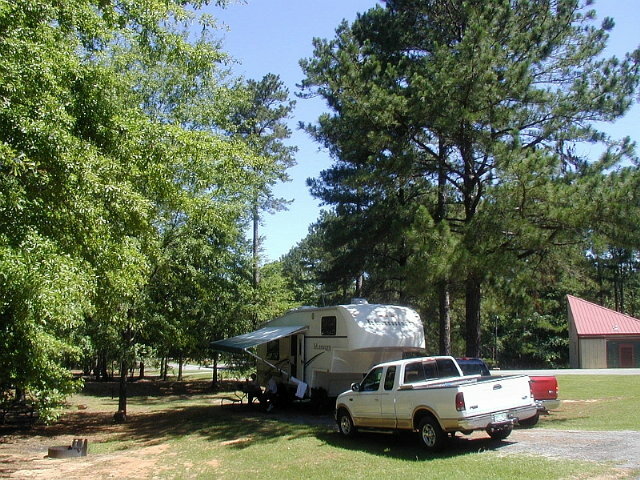 We stayed one night at River View RV Park, a very nice modern park right across the river from Natchez, MS. 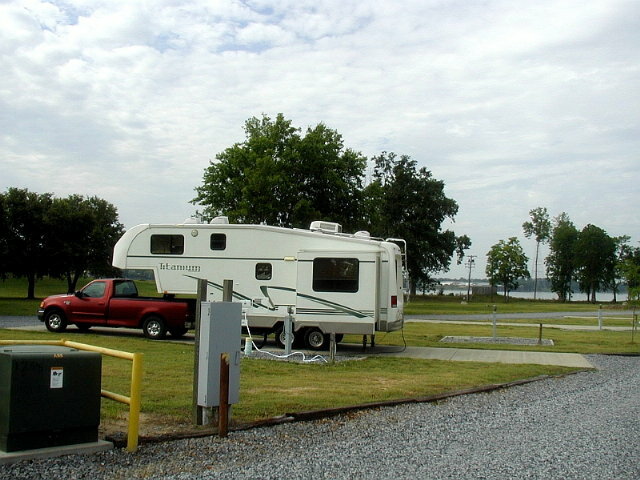 The RV park borders a city park that has a nice paved walkway for about 2 miles along the river. After it cooled off a little, we walked the full distance and back. < Our campsite with Mississippi River in background. 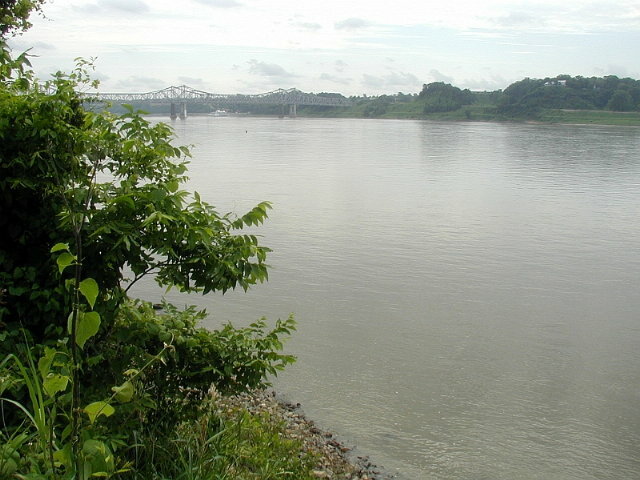 < View of Mississippi River from walkway. Please wait a few minutes for all the small pictures to load. Then click on the small pictures to see them enlarged. Tuesday, we continued our trip, crossing the Mississippi River and traveling up the Natchez Trace Parkway north to Raymond, MS, where Lawson's sister lives. We had a nice visit with Faye & Ray. Thursday morning we left Raymond and headed up IH-55 to Canton, then MS-16 east to near DeKalb, MS. We set up camp at Kemper Lake campground run by the Mississippi Wildlife, Fisheries & Parks Dept. 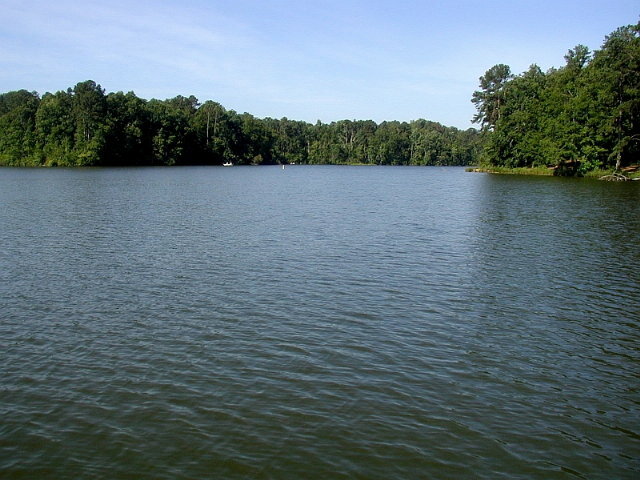 Kemper Lake, a 652-acre sandy bottom lake located among the trees and hills, is one of 23 state lakes in Mississippi. It is 45-feet deep in some places and fed by springs and creeks, giving the water a coolness. 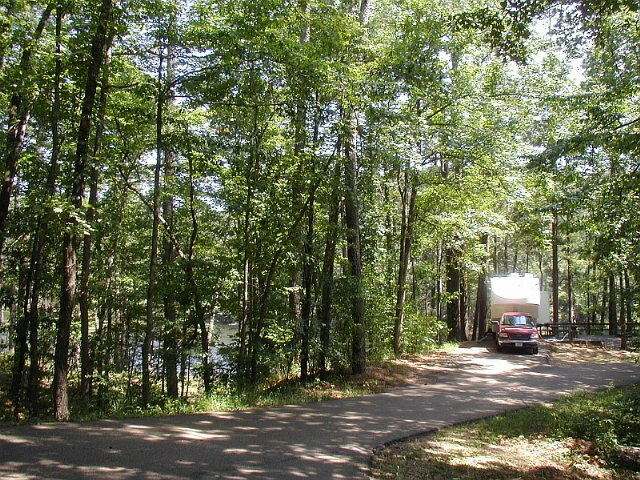 The nice scenic campsites are within a steep walk downhill to the lake. Thursday & Friday the weather was nice and cool so we spent lots of time exploring around the campgrounds, which were almost empty. We enjoyed visiting with John and Bonnie Evans, also attending the Cook reunion. Ray and Faye arrived late in the day and we all enjoyed a family style supper with grilled hamburgers and some delicious side dishes. 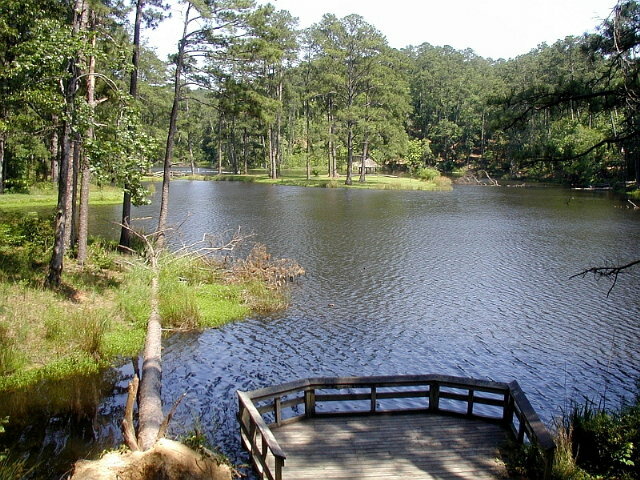 < A view of the lake from the park headquarters. < Our campsite. Saturday we spent most of the day attending the Cook Family Reunion at the Masonic Lodge in beautiful downtown Preston, MS. You will need a magnifying glass to find it on a map - it's a 1-store town, but it does have a Post Office! 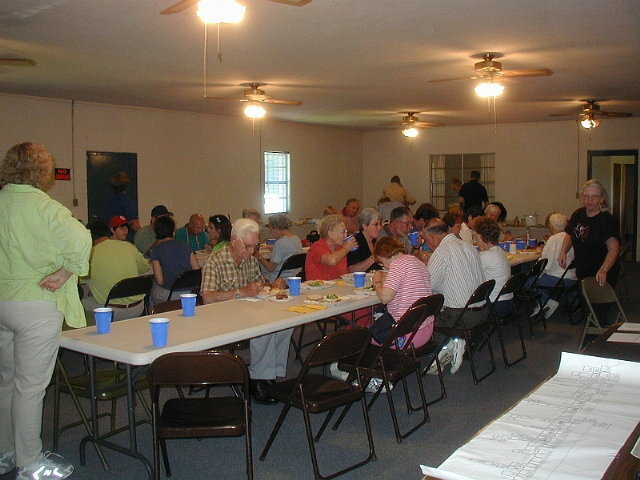 We enjoyed the reunion and ate too much rich food from all the Southern recipes. After the reunion was over, we visited with our 91-year old cousin Nellie, that still lives in the house her father built. It is well over 100 years old. After that we stopped by the old historic Sciples Water Mill. The original mill was built on this site in 1790. 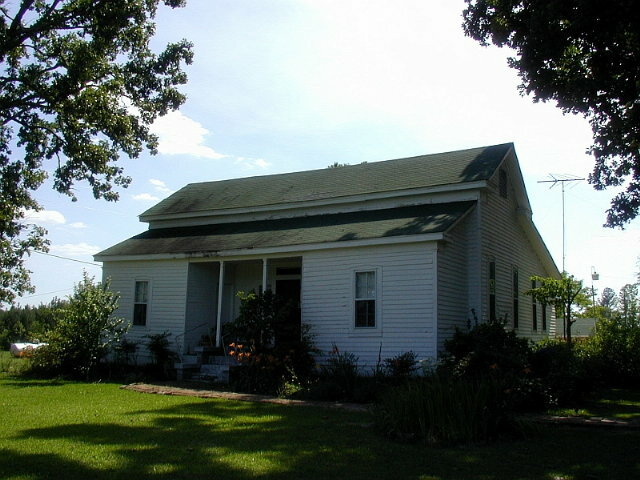 The Sciple family purchased the mill in about 1830, after it had passed through several owners. 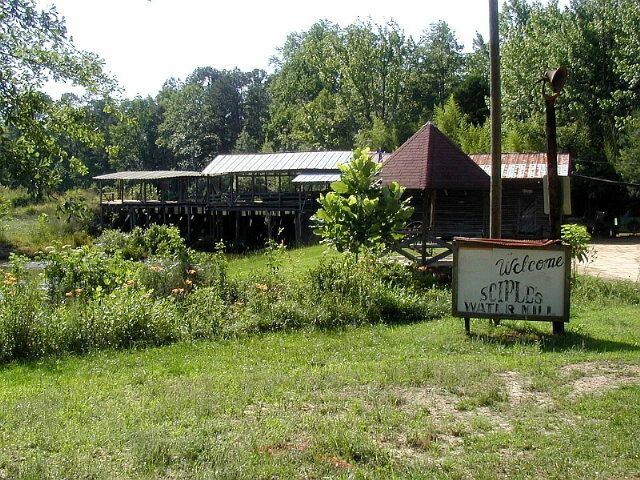 The Sciple family has owned the mill since that time and six generations have worked in the mill. The mill has been in continuous operation since then, except for 3 months in 1973-74, when the mill was destroyed by a tornado. The mill was rebuilt and back in operation on the same foundation in 3 months. 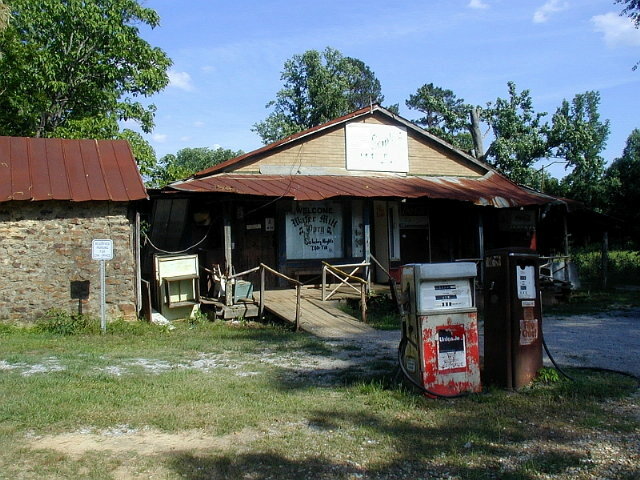 Across the gravel road is the home of the Water Mill Opry. The sign says that the opry is open at 7PM every Saturday night, except during deer season! After all that, it was time to call it a day! < Cook Reunion. < Nellie's home. < The old historic Sciples Water Mill. < Water Mill Opry's home. 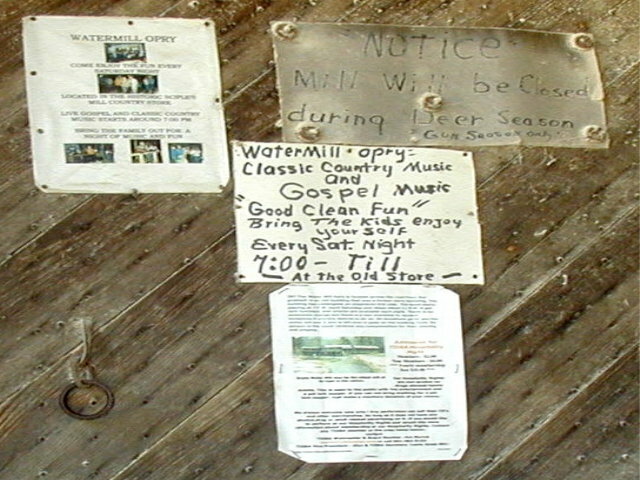 < Water Mill Opry. Sunday morning we went to church at the First Baptist Church in DeKalb, MS. We enjoyed the service and all the friendly folks that welcomed us. After eating lunch at the campgrounds, we pulled up stakes and moved southwest on MS-16, MS-492, MS-15, IH-20 and MS-501 to the Marathon Campground, located in the Bienville National Forest. After getting hooked up to a beautiful site on the banks of the lake, we took a walk through the campgrounds. < Our campsite at Marathon. < The lake at Marathon. Monday morning we hiked along a trail that crossed the lake and enjoyed the birds and nature before lunch. After lunch, we left Marathon and headed southwest again in MS-501, MS-18, and MS-35 to Lake Ross Barnett south of Mise, MS. 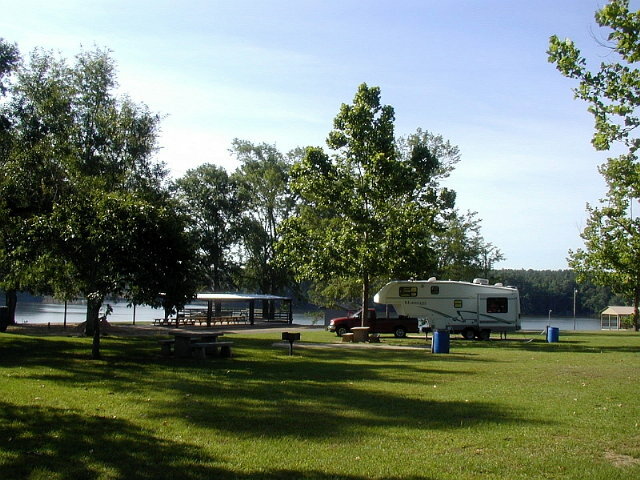 This campground, run by the Mississippi Wildlife, Fisheries & Parks, is located next to the 81-acre Lake Ross Barnett. The campground is adequate, but a little dated. The birdwatching was excellent! We were able to see some new birds. We also enjoyed watching a bluebird family ferrying bugs to their chicks located in a hollow tree next to our campsite. 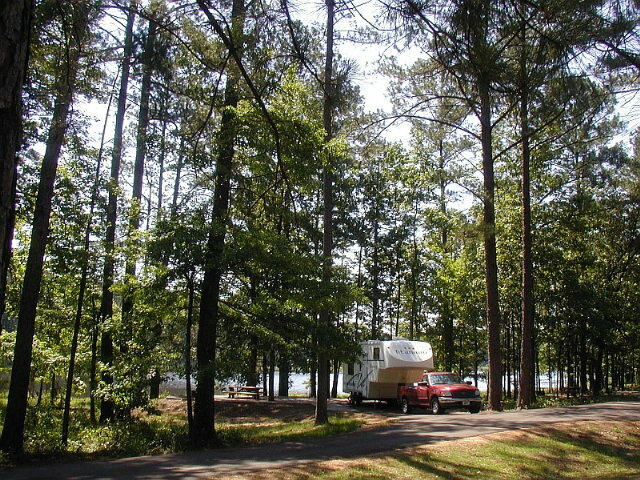 < Our campsite at Lake Ross Barnett. < Lake Ross Barnett. Tuesday morning we explored around the lake and did some more birdwatching. After lunch, we pulled up stakes and hit the road west again, via MS-35 and US-84. 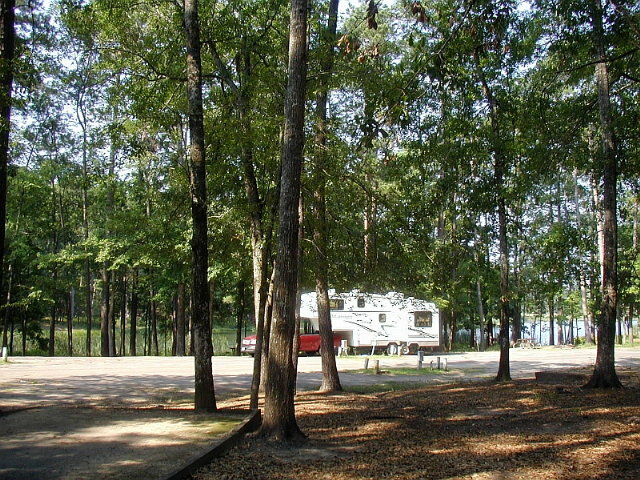 This time we stopped at Clear Springs Campground in the Homochitto National Forest near Meadville, MS. This was the most beautiful campground we visited on our trip, and ranks high on our all-time list. Seems that we are not alone - the park had posted a newspaper article saying that Clear Springs was listed as #9 out of the top 10 campgrounds in the country in 2005 by weather.com. After getting set up in our site on a hill overlooking the lake, we started exploring the area. We hiked the trail leading through the woods around the lake. We saw and heard many birds during the nice walk. < Our campsite at Clear Springs. < View of the lake from our campsite. Wednesday morning after breakfast, we reluctantly had to leave Clear Springs and head back toward Texas. We will be sure to stop here again when we are in the area. We backtracked through Louisiana westward and stopped Wednesday night at the Alabama-Coushatta Lake Tombigbee Campground near Livingston, TX. 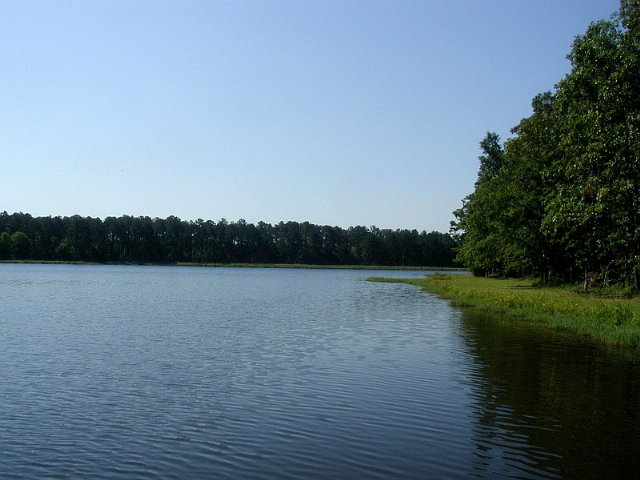 This campground is located next to a nice lake on the reservation. The campsites are a little dated, but had all the facilities. After we settled into our campsite next to the lake, we explored around the area. 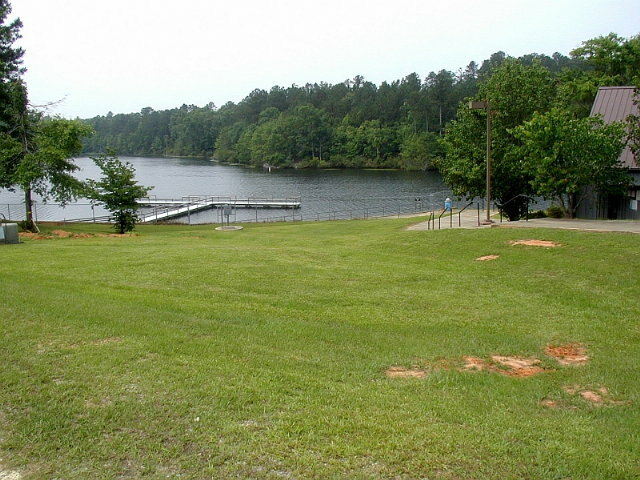 < Our campsite at Lake Tombigbee. < View of the lake from our campsite. 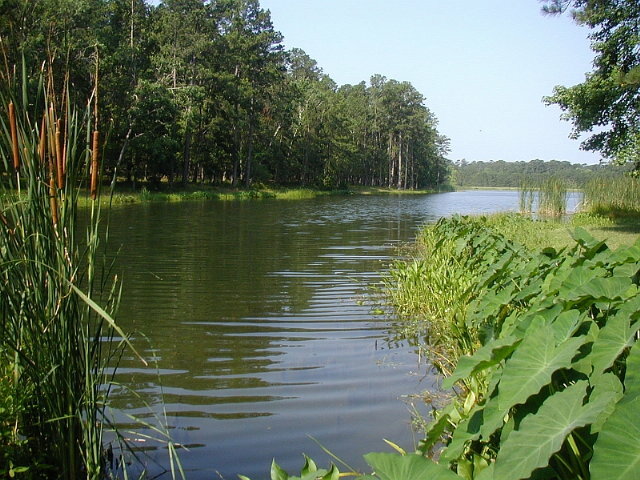 Thursday morning we left Lake Tombigbee via US-190 and US-59 and arrived in the Houston area within a few hours. This draws to a close our Cook Reunion and Mississippi Campgrounds RV Vacation. We hope you enjoyed the pictures and brief descriptions of our activities. God willing, join us again soon for another RV adventure.